TIFF is a very widespread format used for storing images. This is why many of us end up having hundreds or even thousands of TIFF images. Some of them are too large, others need to be cropped or rotated... All this can easily be done with free programs like Paint or Picasa. But when it comes to processing hundreds of file, most likely you will look for a professional solution. 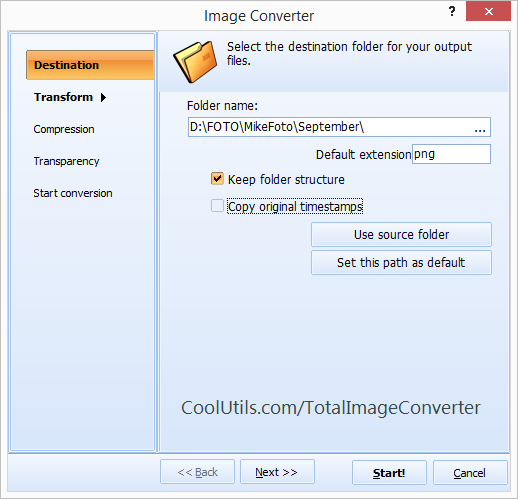 CoolUtils - a software development company with extensive experience in design of conversion software - is pleased to present Total Image Converter. Having been initially developed as a program for conversion of files to JPG, GIF, BMP, PCX, PNG, TIFF, and RAW formats, this tool is also perfect for image transformation. Want to know how to crop TIFF images? 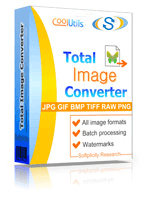 Download Total Image Converter now and start to crop TIFF images in batch! A free 30-day trial version of Total Image Converter is available here for evaluation purposes. To take advantage of all options enabled in the converter please purchase an activation key. Install Total Image Converter as usual. This process is guided by a setup wizard and takes no longer than 2-3 minutes. Launch Total Image Converter. Use command line or user interface, whichever you prefer. Select folder contacting TIFF files and tick off the ones you want to convert. Select 'TIFF' as the output format if you do not want to convert the images. In the new window, click 'Transform', then - 'Crop'. You can either enter the new figures manually or select the desired crop rectangle. To see whether Total Image Converter works for you, download a free 30-day trial version of the program now! It requires no obligation, no registration and is 100% safe! 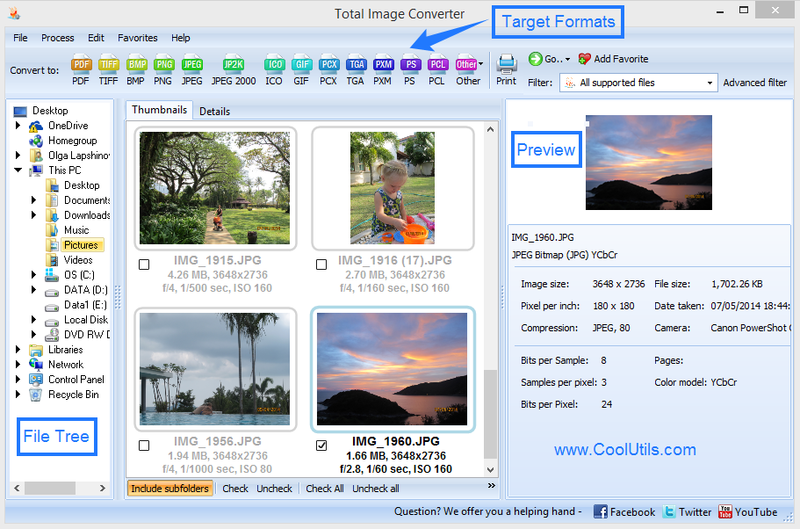 Contact CoolUtils to learn more about Total Image Converter and other programs that might be of use to you! Crop PNG Images in batches with comfort.